Phillip Jones, VisitDallas President & CEO, along with Councilmember Kevin Felder, Dr. Harry Robinson and Gayle Jessup White, special guest and descendant of Thomas Jefferson, were speakers at the press conference/kick-off on June 19 announcing the "Jefferson at Monticello: Paradox of Liberty" exhibition to be held at the African American Museum September 22-December 31. 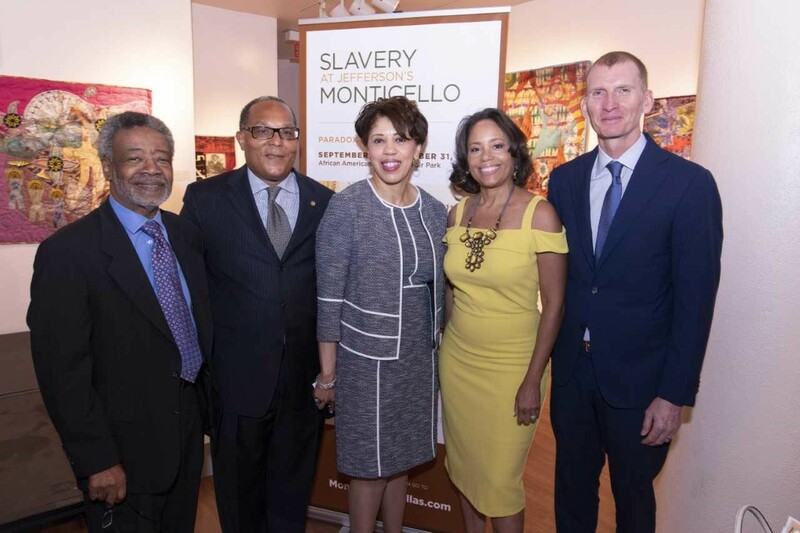 Thanks to Councilmember Kevin Felder and Dr. Harry Robinson for their crucial role in bringing the exhibition to the African American Museum, Dallas and thanks to TD Jakes for serving as the honorary chair of this extraordinary exhibition. Supported the City of Dallas' Veteran Women's Enterprise Center (WEC) project. This is a national initiative launched in southern Dallas as the first of many VWECs projected for Texas and our nation. The Center is 501(c) 3 that provides a business and personal development model for success that can be replicated across localities, regions and/or nationally with a specific focus on women veteran needs for each geographic location. The 1st Veteran Women's Holiday was held Tuesday, June 12 and VisitDallas Diversity and Inclusion team assisted in getting Omni, Reunion Tower, Hunt Building and AT&T to light up. 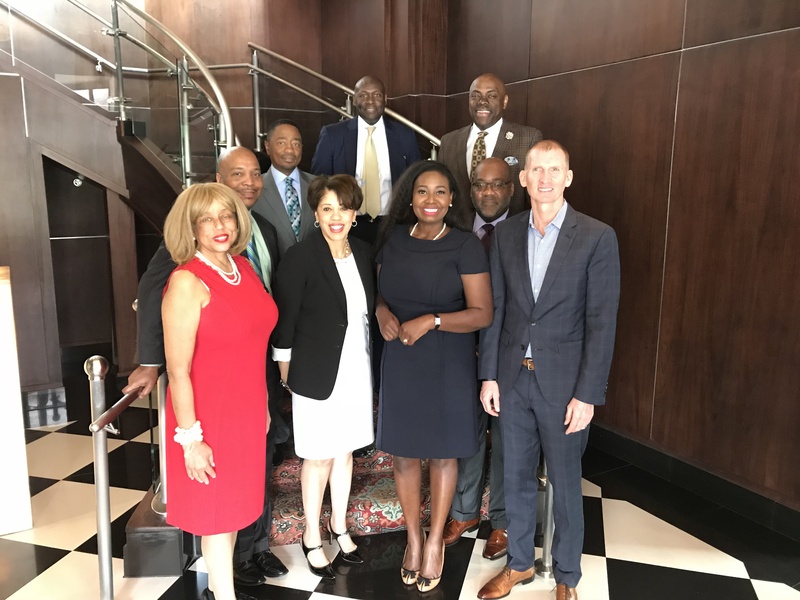 We coordinated with State Representative Yvonne Davis to welcome the Association of Nigerian Physicians that convened in Dallas, June 27-30 at the Renaissance Dallas. VisitDallas hosted the welcome reception on the rooftop at the NYLO Hotel and provided a city tour that highlighted some of Dallas' Civil Rights Movement landmarks. Attended the Dallas Black Chamber of Commerce Executive Summit and, together with the VisitDallas Experience team and a representative from Southwest Airlines, presented highlights of the 2018 Customer Service Master Class. All attendees were invited to pre-register for the 2019 Customer Service Master Class. Held integration team meetings to discuss the marketing and communications of the Jefferson at Monticello: Paradox of Liberty Exhibition. Attended the 35th Annual National Association of Latino Elected Officials conference in Phoenix, AZ. 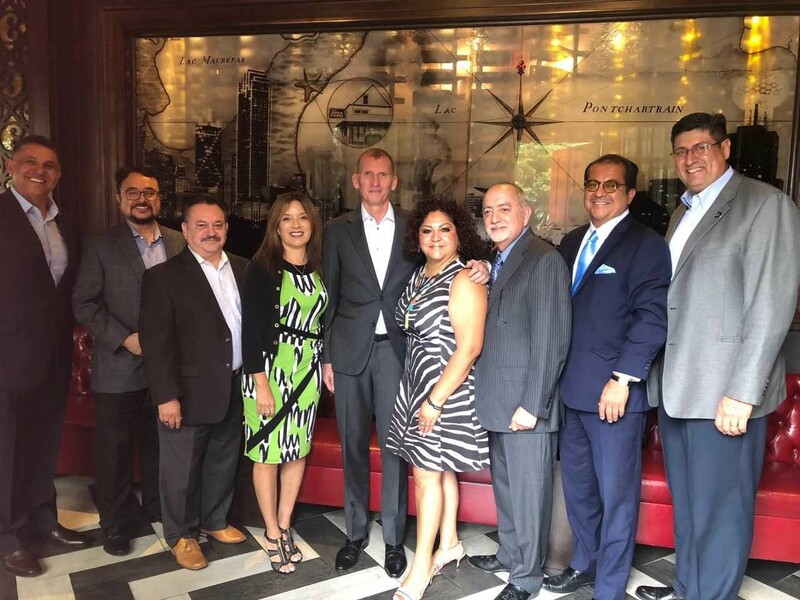 Discussed with Executive Director and meeting planner the interest in hosting a NALEO institute in Dallas and attended the Downtown Dallas Board of Governor's meeting. City of Dallas' LGBTQ Spirit of Equality Awards.